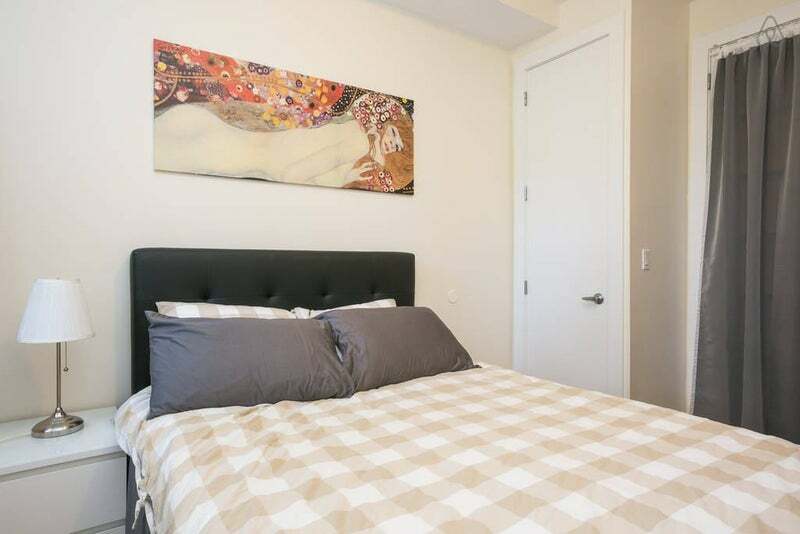 I have 1 bedroom available within a 4 bedroom 2 full bathroom in a new, luxury apartment. Laundry available a few houses down. 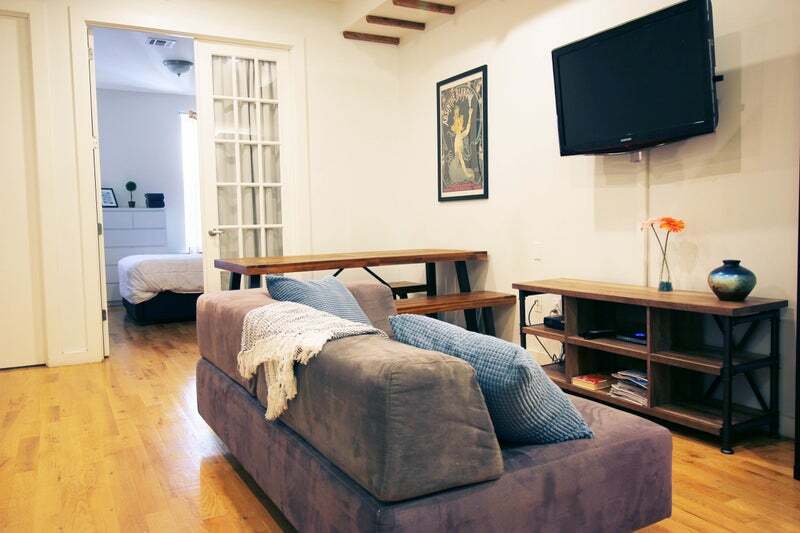 Your roommates are a mix of students and young professionals who mostly work in the city. Bedroom available May 1. Has lock and key, around the corner from the J subway station (Halsey St stop). 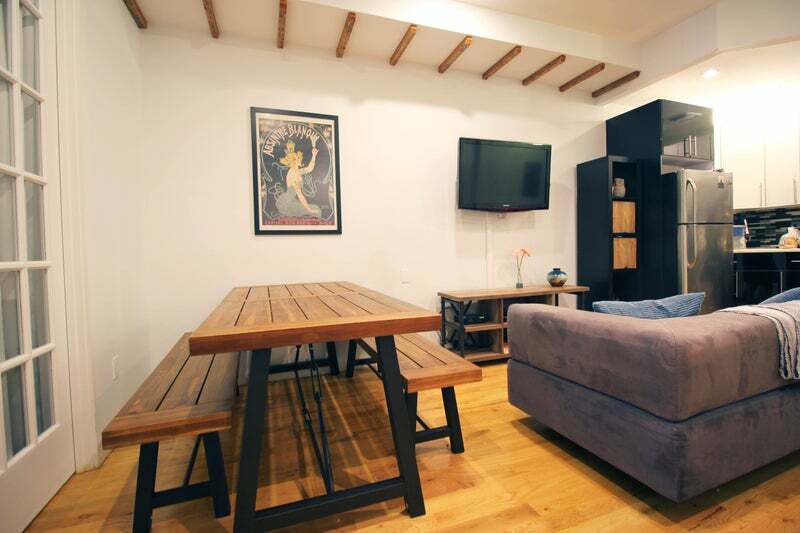 Commute to downtown Manhattan in just 20 minutes. Shared use of our stainless steel kitchen and living room with TV. We're looking for chill people that are respectful and clean up after themselves. 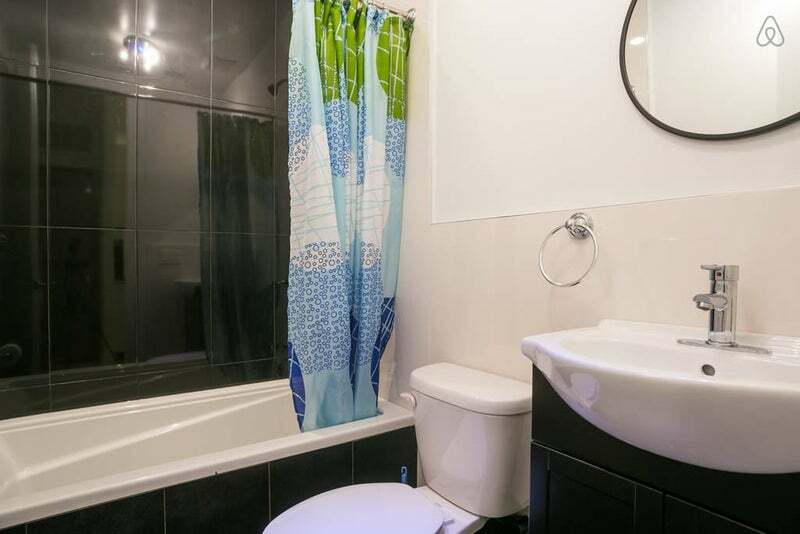 Rent includes paper goods like toilet paper and paper towels and cleaning twice a week of common areas by a cleaner. Utilities around $75 per month for wifi, electric, and gas. 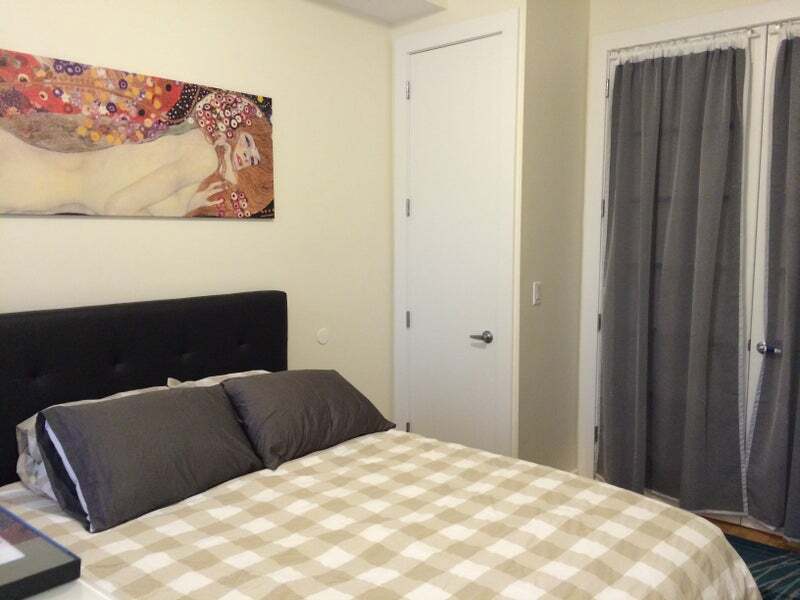 The room has a queen size 10" deep comfortable mattress and a large window. This room is in the back of the house so it stays quiet. Contains a large dresser, full sized closet with ample storage space, full-length mirror, central air conditioner/heating. 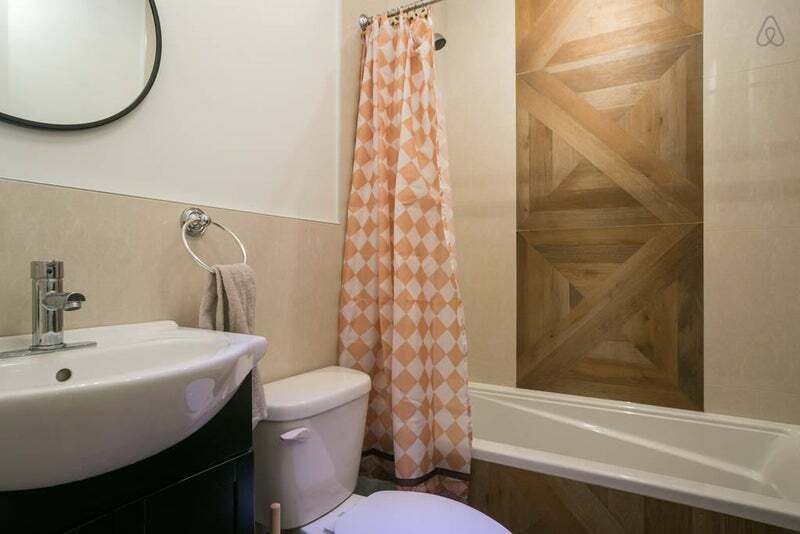 This entire apartment has been recently renovated with brand new construction, imported tiling in the bathrooms, and stainless steel appliances in the kitchen. Couples welcome, add $100 to the monthly rent. $500 security deposit required which will be returned at the end of your stay given there's no damage and giving of 30 days notice if you're leaving. Common areas like the kitchen and bathrooms are cleaned by a cleaner who comes 1-2 times per week, and this is all included in your rent. 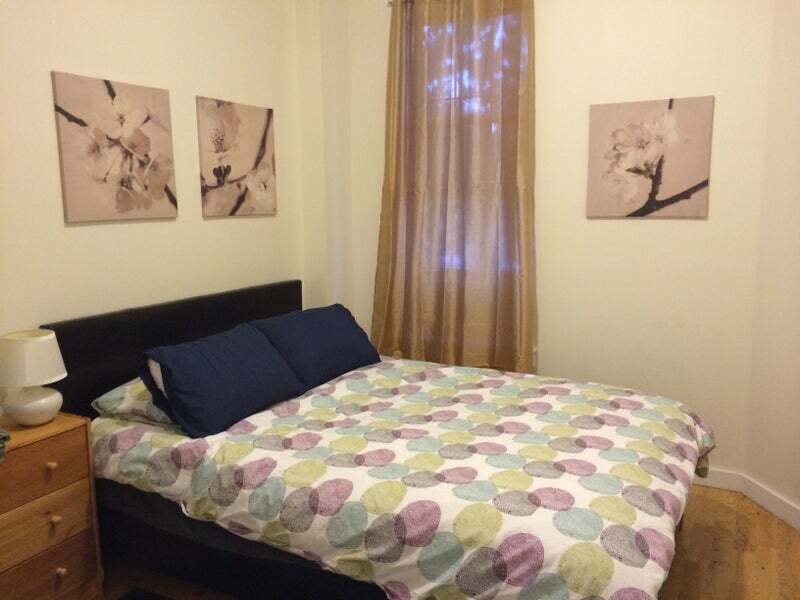 You will have access and use of the kitchen, living room, and use of the 2 full bathrooms within this apartment. Contact me to arrange a showing!